In spite of the fact that Iran has been consistently demonized by the Western media since the Islamic revolution in 1979, the country’s robust national cinema has continued to be steadily exported to film festivals all over the world, winning over critics and audiences alike and exerting a major influence on the past couple decades of international film production (an influence that can be felt on movies as diverse as Zhang Yang’s Quitting and Mike Leigh’s Happy Go Lucky). While I am by no means an expert on Iranian cinema, my understanding of motion pictures is much richer because of the titles listed below. The only film directed by renowned Persian poet Forough Farrokhzad, this extraordinary documentary/essay film dares to take a motion picture camera to a place that most human beings would otherwise never see: a leper colony. Farrokhzad asks viewers to gaze upon images deemed “ugly” by society but expresses extreme empathy for her subjects through a use of voice-over narration that combines quotes from the Bible, the Koran and her own beautiful poetry. Only 22 minutes long, this is one of my favorite movies of any kind. An unforgettable movie about a peasant who owns the only cow in his small village. When he takes a trip to Tehran and the cow unexpectedly dies, his fellow villagers decide to lie and tell him his prized animal has run away – only this well-intentioned lie leads to madness and death. Shot in stark black and white, this allegorical film is as deep as it is simple, a despairing portrait of human relationships poisoned by jealousy and fear. Director Dariush Mehrjui studied film at UCLA where he was taught by none other than Jean Renoir. 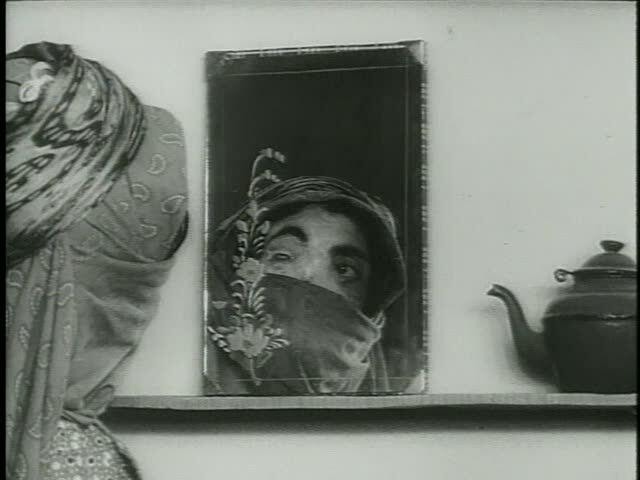 This is the first fiction feature of Abbas Kiarostami, arguably the greatest of all Iranian directors, and most of the stylistic and thematic concerns of his more famous later work can already be seen here in embryonic form. The story concerns an elementary school student who hoodwinks his classmates into giving him the money he needs to take a bus to Tehran and see his favorite soccer team in person. But upon arriving he learns there is a price for some things that can’t be paid with money. The child performances are excellent in this alternately poetic and realistic film. The first Iranian movie I ever saw (when it belatedly opened at Chicago’s old Film Center in 1994), Amir Naderi’s classic movie tells the story of Amiro, a homeless, parentless child who ekes out a living by shining shoes and selling ice water and recyclable glass bottles. Against overwhelming odds, he also manages to enroll in school and learns to read. 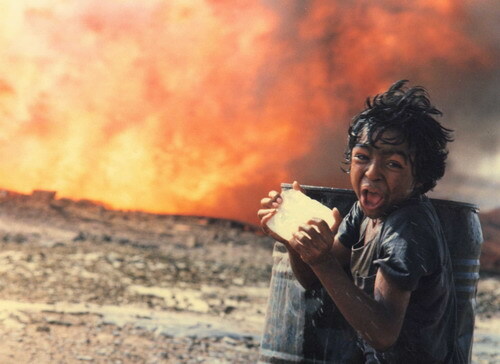 The scenes of Amiro running, including one astonishing sequence set against the backdrop of an oil fire, offer a touching metaphor for the character’s desire to transcend his socio-economic status. A war orphan of the Iran/Iraq conflict flees to rural northern Iran where he becomes a stranger in his own country, surrounded by people whose ethnicity, skin color and language are frighteningly foreign. Eventually he is taken in by a family who accept him as one of their own. This landmark film, shot in 1986 but not released until three years later, is reminiscent of Satyajit Ray’s immortal Pather Panchali in its unsentimental look at childhood, the simplicity of its visual style and as a rare peek into a way of life unencroached upon by modern civilization. A veteran of the Iran/Iraq war finds it impossible to return to his old life as a photographer and happily engaged man in Mohsen Makhmalbaf’s blunt and angry social critique. Reminiscent of Sam Fuller at his most lurid, this is full of unsettling and hallucinatory effects such as an unnerving use of distorting wide-angle lenses and a masterful sound mix that turns the clacking of typewriter keys into the sound of machine gun fire. 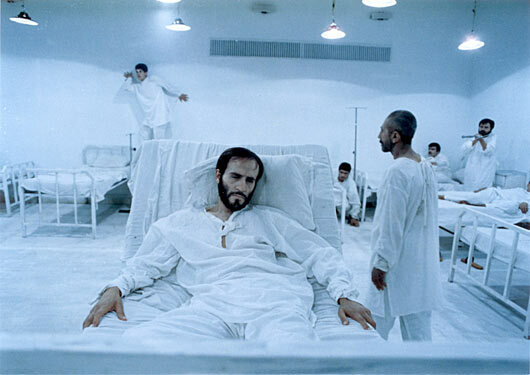 One of the best movies ever made about the psychological scars of war. 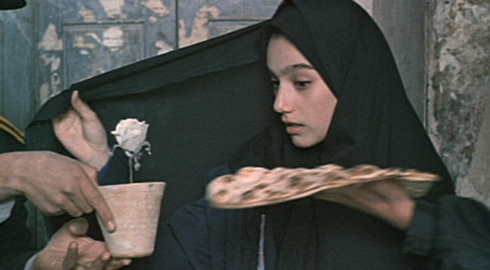 Abbas Kiarostami’s masterpiece has been called the “greatest documentary about filmmaking” by Werner Herzog and it’s easy to see why; documentary footage of the trial of a man accused of impersonating director Mohsen Makhmalbaf (and conning a family into believing they would star in his new film) is interspersed with scripted scenes in which all of the principles have been invited to re-enact their lives for the camera. The melding of fiction and non-fiction techniques is common in movies but has rarely been as purposefully or cleverly employed as here, especially in the film’s climactic scene when alleged “technical problems” prevent the viewer from hearing crucial dialogue on the soundtrack. When Iranian movies first found favor with Western critics in the 1990s, they were frequently compared to the great Italian Neorealist films of the 1940s. While this equation is problematic as a blanket generalization, a film like The Need entirely justifies such comparisons; it is a simple, realistic story powerfully conveyed through amazingly naturalistic performances and dialogue. When two boys are promised the same job of working in a print shop, the owner decides to pit them against one another on a trial basis to see who can “earn” the job. The resulting conflict fuels a story about what it means to desperately need work, a universal sentiment that is rarely broached in movies.